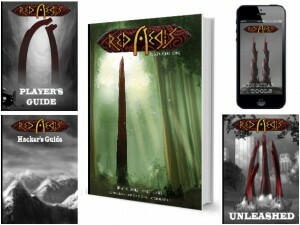 The first game I backed this week is Red Aegis (Vorpal Blade), an RPG where each session is an epoch and where you don’t so much play a character as you play a lineage. The neat part is that the game is build in a way that time passes very quickly between sessions, in the range of centuries or millennium. As such, you don’t so much play a single session but rather shape a civilization, which is intriguing. This game reminds me of the old AD&D setting Birthright, which I’ve regretting not picking up when it first came out. It was one of those bizarre settings TSR were trying, setting that were completely different from what was expected of them. The core idea of Birthright was that you played as the leader of a country, with the other players playing other leaders and seeing where history would go for the continent. Red Aegis seems to have that same feeling, but I must admit it took me forever to back the project, as I found the backing tier kind of confusing, with too many options. I just wanted to get the core rulebook, printed if possible but it seems that in order to do that, I’d have to forgo lots of other stuff that could be interesting and pay lots more (the core rulebook is $70US). At the end of the day, I went with the digital package which seems a better value for the money. Nonetheless, I’m pretty sure I’ll enjoy reading about the system and the setting. 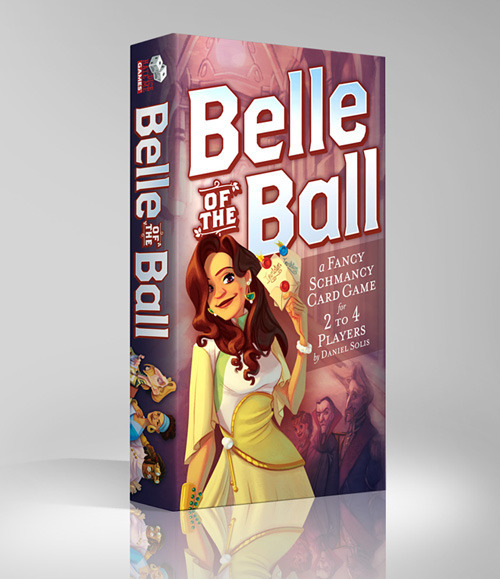 The second project I backed is Belle of the Ball (Dice Hate Me), a card game. Why? Because it’s from one of my favorite up-and-coming designer, Daniel Solis. Those of you who follow this blog will recognize the name as the designer behind Suspense, a small game that I discovered a few weeks ago, but he’s also responsible for Koi Pond (BBG), which I can’t wait to try out. All of these games are fairly simple games that none-the-less offer difficult decisions and that have beautiful artwork and layout. 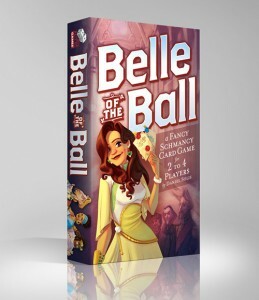 From what I saw so far of Belle of the Ball, I don’t expect it to be any different, with what looks like simple mechanics and some of the best artwork for a card game. Can’t wait.